Gold investment: Gold rates on the Multi Commodity Exchange of the country have jumped more than 11% in the past six months. Analysts say it is safe to invest in gold at the current levels. Investment in gold is often considered as a means to bring financial security in one's portfolio. This is because traditionally, investing money in gold works as a hedge against inflation over a period of time, say experts. However, looking at the trend of gold rates in the recent past, many investors may be contemplating whether it is a favourable time to invest in gold. 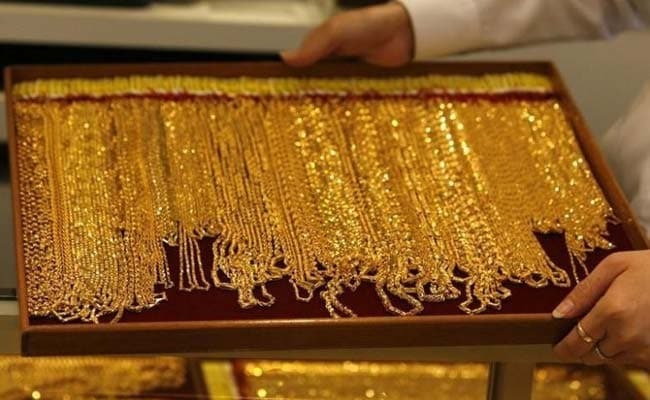 According to news agency Reuters, gold rates on the Multi Commodity Exchange have jumped more than 11 per cent in the past six months. Many experts believe that it is safe to invest in gold at the current levels. "Seeing the political situation globally, tightening demand supply balance of crude, and the trade deficit that major economies are facing, gold will surely strike back in demand," said Dinesh Rohira, CEO and founder at 5nance. "In a scenario where the performance of equity markets looks uncertain, gold will be an instrument that will provide a perfect hedge to the inflation," he said. Others are positive on gold from a medium-term perspective. According to Gaurav Katariya, research head (commodity), Arihant Capital Markets, it is a fine time to invest in gold for three to six months. "One should compulsorily have an investment portfolio in gold so that the risks associated with regular investments in equity, currency, real estate or mutual funds could be hedged to an extent." "Gold as an investment avenue will remain very much in the reckoning, with market participants cognizant of the fact that global macro numbers are turning soft," said Hitesh Jain, vice president, Yes Securities. How should you plan your gold investment? Mr Rohira recommends having gold as a part of debt portfolio with an exposure of up to 10-15 per cent over a time horizon of 2-3 years. Meanwhile, analysts often prefer gold investment in electronic form over physical form. E-gold: Electronic gold or e-gold enables investors to invest their funds into gold in smaller denomination and hold it in a demat (dematerialised) form. It provides benefits like flexibility of buying. Gold Monetization Scheme (GMS): GMS is intended at mobilizing gold held by households and institutions of the country and facilitating its use for productive purposes. Gold Monetisation Scheme can be leveraged to earn interest by trading the gold on hand. Sovereign Gold Bond Scheme: Launched in November 2015, the SGB comprises government securities denominated in grams of gold. They are substitutes for holding physical gold. Investors are required to pay the issue price in cash, and the bonds are redeemed in cash on maturity. The bond is issued by Reserve Bank of India (RBI) on behalf of government. Gold Exchange Traded Funds (ETFs): Gold ETFs are similar to mutual funds. Investors can buy gold ETFs online and keep it in their demat account. Indian Gold Coin Scheme: MMTC has been authorised by the central government to manufacture India Gold Coins (IGC) with Ashok Chakra and supply these coins to the domestic market, according to the central bank.